Earnings Per Share – In terms of earnings DAL did not disappoint. The company actually did relatively well. During the second quarter, the company reported earnings in the amount of $1.47 per share. This beat estimates in the amount of $1.42 per share by $0.05. Year over year, we’re also seeing positivity in earnings. On a year over year basis, earnings came in 15.7% highger. Revenue – While earnings were relatively positive, revenue did miss the mark. During the quarter, analysts were expecting to see the company generate $10.488 billion. However, DAL said that it generated $10.447 billion. While the miss was relatively small, it did show year over year declines in the amount of 2.4%. $65 million of the decline was caused by adverse foreign currency movements. Also, during the quarter, we saw declines in passenger revenues in the amount of 1.8%, cargo revenues in the amount of 20.3%, and other revenues in the amount of 3.6%. As investors, we know that the news moves the market. When positive news is released, we can expect to see gains in the value of the stock. If negative news is released, we’ll see declines. 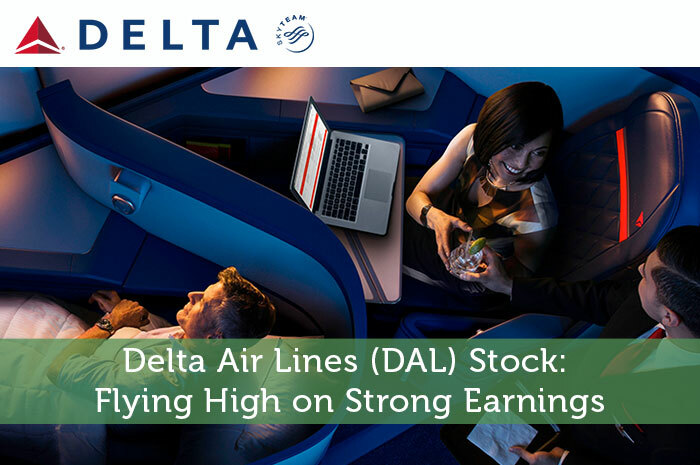 While the news from Delta Air Lines was relatively mixed, investors seem to be viewing it as positive. This can be seen from the gains we’re seeing on the stock today. Currently (2:50), DAL is trading at $40.98 per share after a gain of $1.42 per share or 3.59%. Moving forward, I have a relatively mixed opinion of what we can expect to see from Delta Airlines. In the long run, I have to side with the bulls. The company has been through recessions and flew out just fine. However, in the short run, it seems as though investors are ignoring the risks. While earnings are up, that is largely caused by low oil prices. Any increase in the price of oil will send the company’s earnings back downward. The real issue here is revenue. A 20.3% drop in cargo revenue is huge. That combined with declines in revenue overall paint a grim short term picture. As global economic conditions continue to worsen, DAL is likely to decline. Nonetheless, in due time, the company will make it over this hurdle and likely thrive on the other side. Where do you think DAL is headed moving forward and why? Join the discussion in the comments below!